Organized at Fayetteville, Ark., and Springfield, Mo., January to August, 1863. At Fayetteville, Ark., January to April, 1863. Moved to Springfield, Mo., April 25-May 4, and duty there until September 21. Expedition from Springfield into Arkansas and Indian Territory September 7-19. Near Enterprise, Mo., September 15. Moved to Fayetteville, Ark., September 21, and duty there until March, 1864. Attached to District of Southwest Missouri, Dept. Missouri, to March, 1864. 2nd Brigade, District of the Frontier, 7th Army Corps, Dept. of Arkansas, to January, 1865. Aruntilery, 3rd Division, 7th Army Corps, to February, 1865. 1st Brigade, 3rd Division, 7th Army Corps, to August, 1865. SERVICE.--Actions at Cross Timbers, Mo., October 15 and 20, 1863. Moved to Fort Smith, Ark., March 19, 1864. Steele's Expedition to Camden March 23-May 3, Prairie D'Ann April 9-13. Van Buren April 12. Camden April 15. Poison Springs April 18. Jenkins' Ferry, Saline River, April 30. March to Fort Smith May 3-16. Garrison duty there and at Fort Gibson until August, 1865. 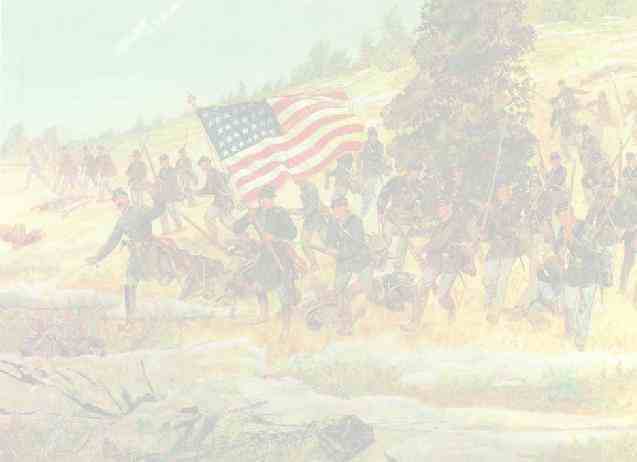 Action at Prior Creek September 18, 1864. Mustered out August 10, 1864.